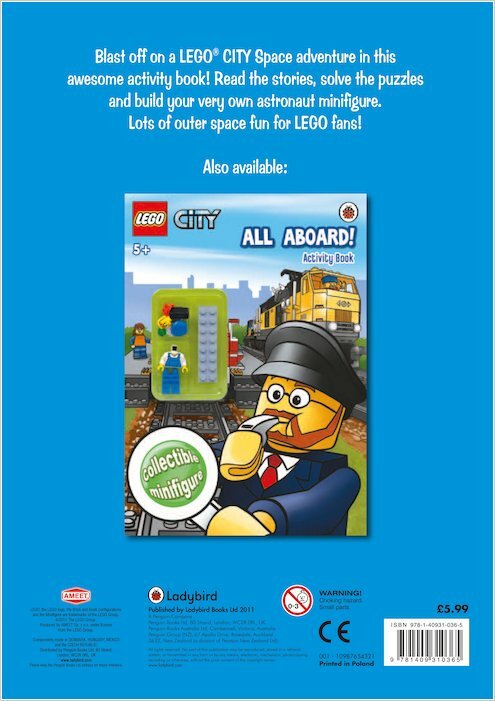 Blast off into a LEGO City space adventure! Reach for the stars with this cool activity book! Read stories, solve puzzles and roam the dazzling galaxy of planets, rockets, asteroids and satellites. Time and time again, the maestros at LEGO headquarters astonish us, showing what they can create with just some little yellow figures and a few plastic blocks. 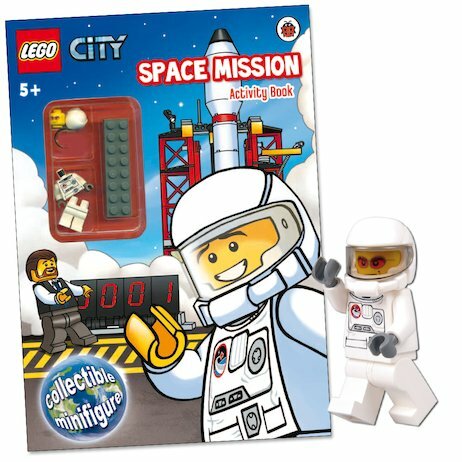 Now YOU can join the drama as the LEGO mission goes all the way to space, shooting towards the sun on an intergalactic quest! Everything is here – the spaceships, the docking stations, the vehicles, the equipment, the backgrounds and the astronauts. But they need YOUR help to face the many challenges and dangers they’ll need to overcome! 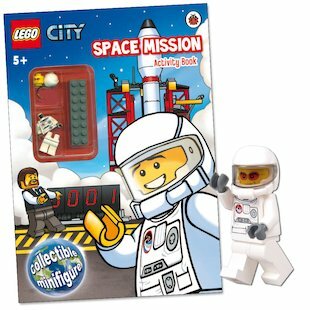 Includes a FREE astronaut minifigure to build.